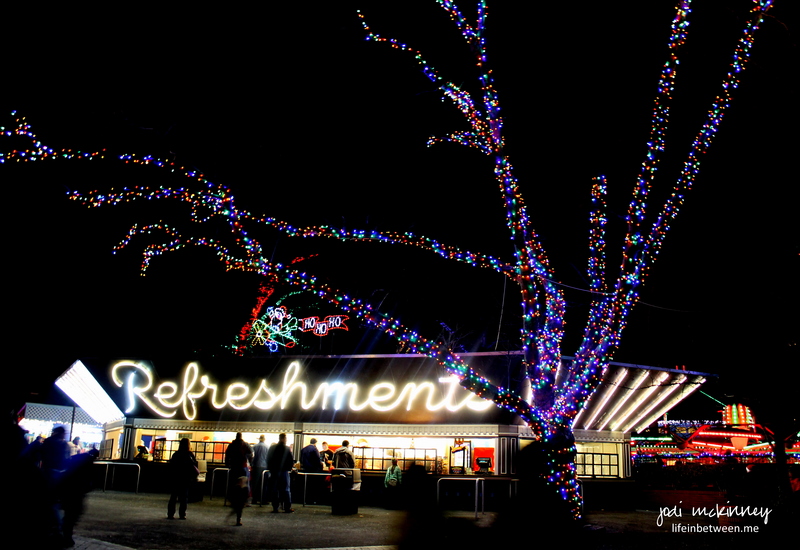 One of the many wonderful things about living in the Pittsburgh, PA region is our beloved Kennywood Amusement Park. I have such fond memories of going there as a child for my Grandpap’s work picnics each summer and many school picnics throughout the years. When I was young, it seemed bigger than life, a vacation fantasy land, so vast, so magical, so exciting! 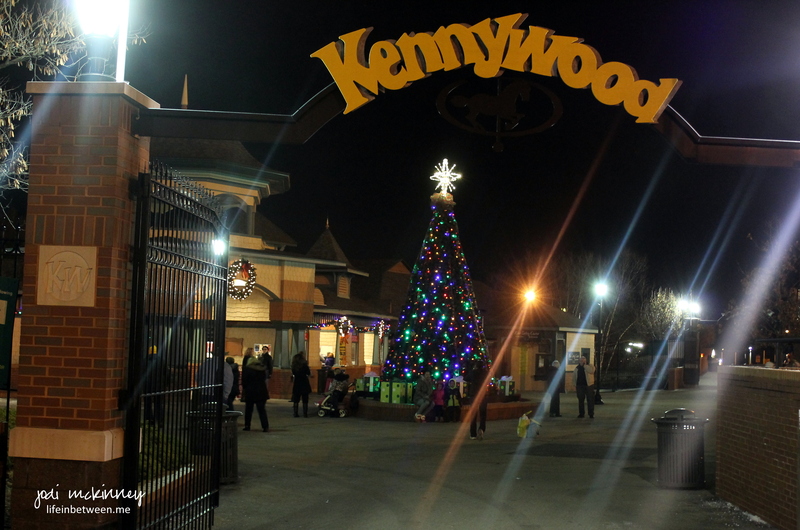 Eventually, Kennywood became the school picnic destination for our boys, and we created even more precious memories with them and their friends. 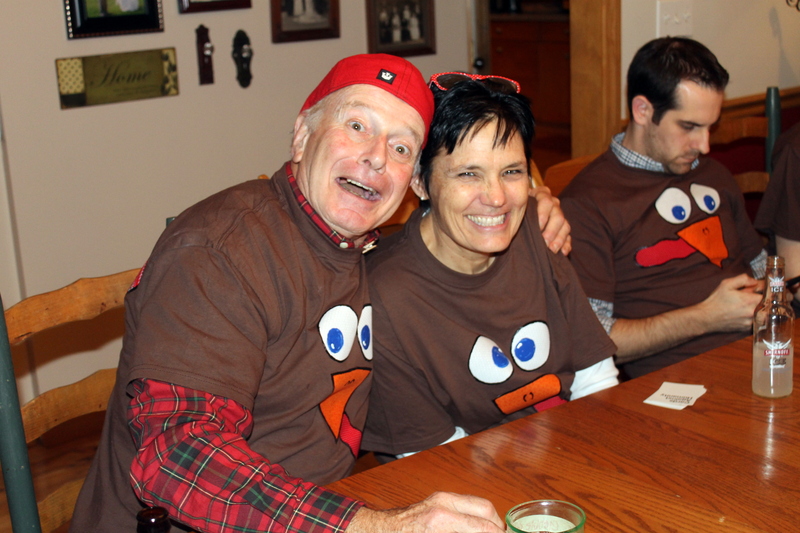 Even Marty’s parents told tales of dates to Kennywood when they were young! 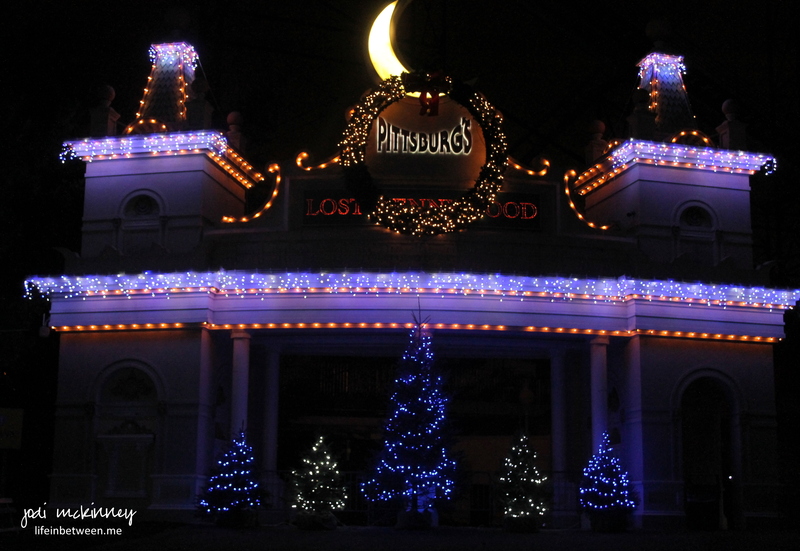 Founded in 1898, Kennywood is one of the oldest and most beloved amusement parks in America. 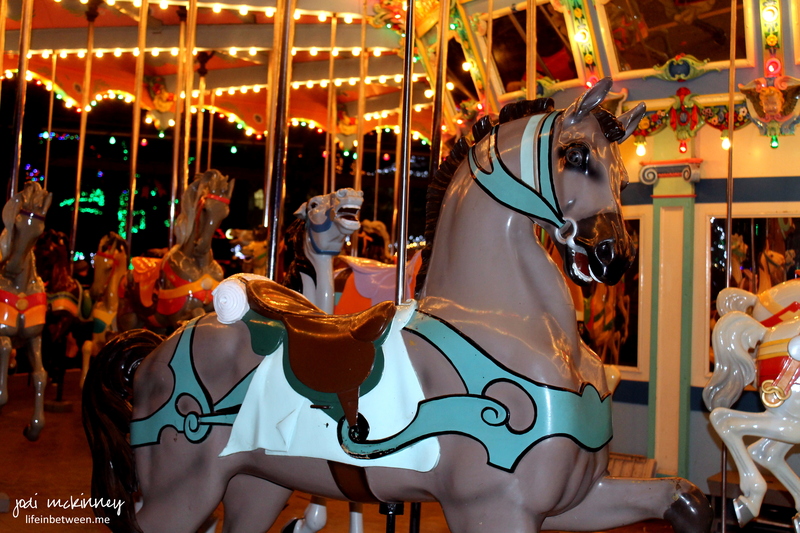 What started 110 years ago with rides like the classic carousel, evolved into a place that boasts the technological advancements of today’s steel lopping roller coasters. 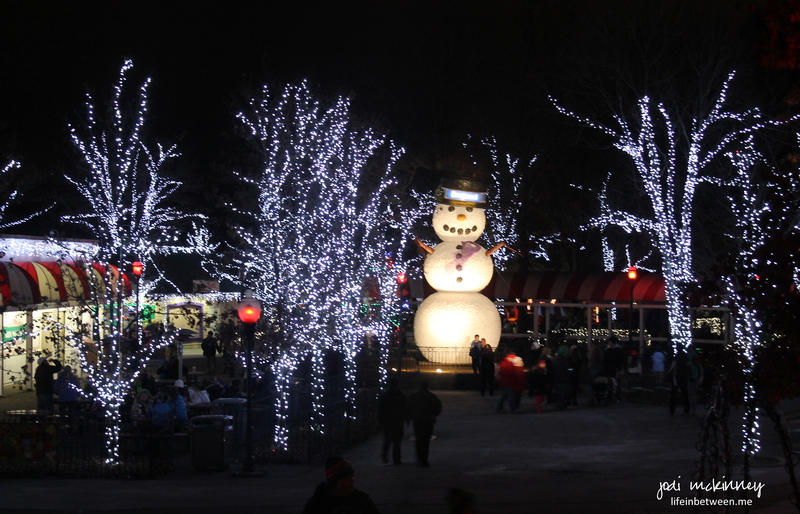 So Marty and I decided to have a date night Saturday and visit Kennywood’s Holiday Lights. What a fun evening we had! 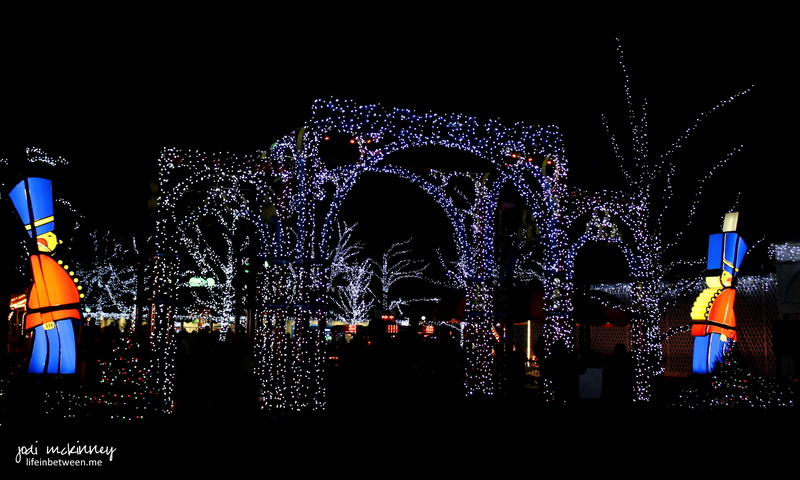 And what an amazing job they did transforming the park into a holiday spectacular! 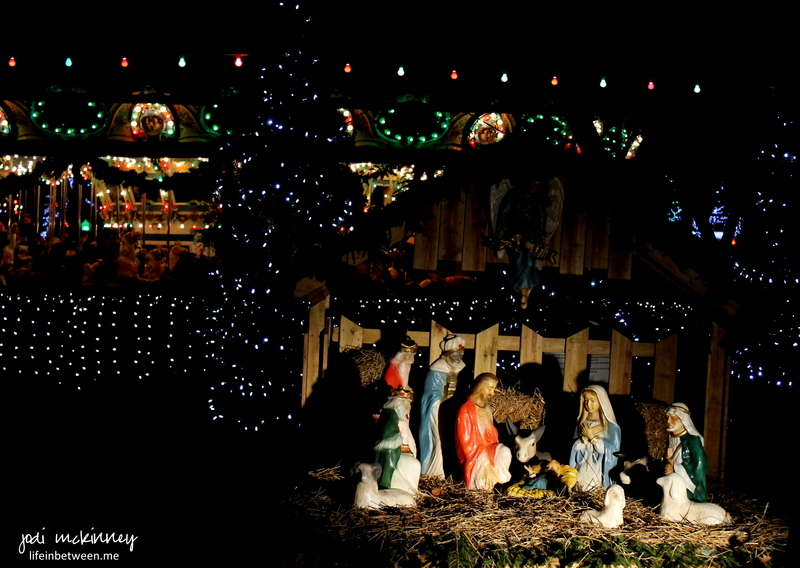 Marty asked one of the guys manning the bonfire (how fun is that right in the middle of the park?!) 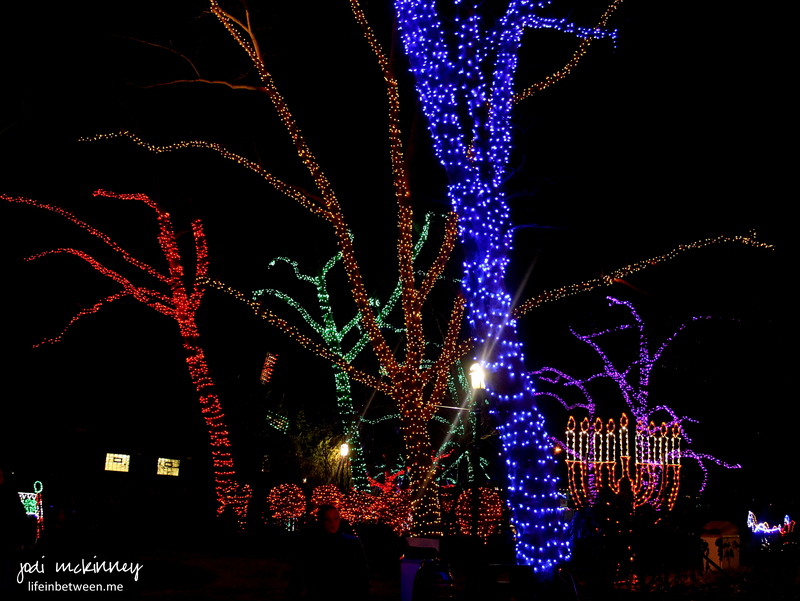 about how long it took to install the over 1 million lights that adorned the park. He was told it takes two full months with 12 guys working full time on it. 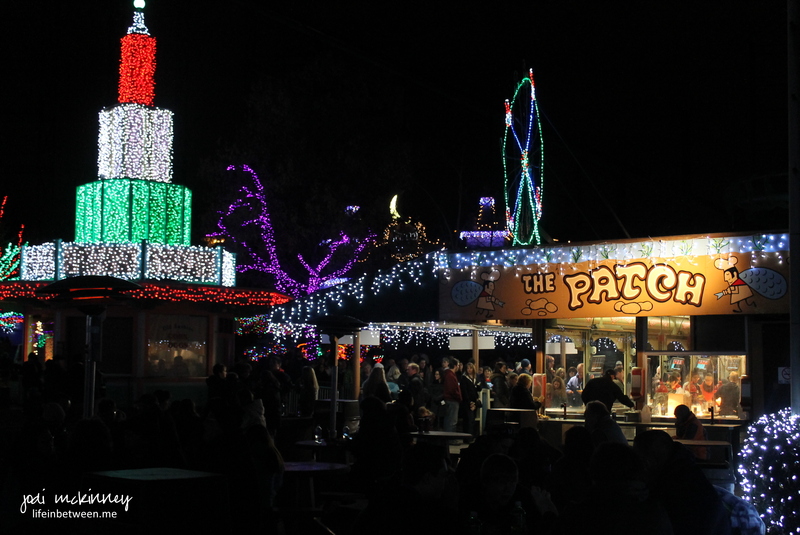 The iconic Potato Patch was open with a very long line for the quintessential french fries with cheese that are a MUST HAVE when visiting Kennywood. 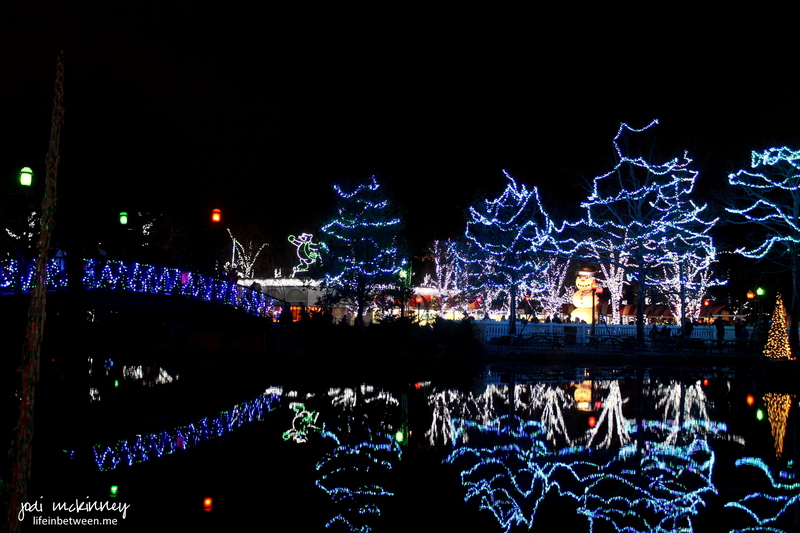 There was a spectaculator light show on the lagoon choreographed to holiday music. 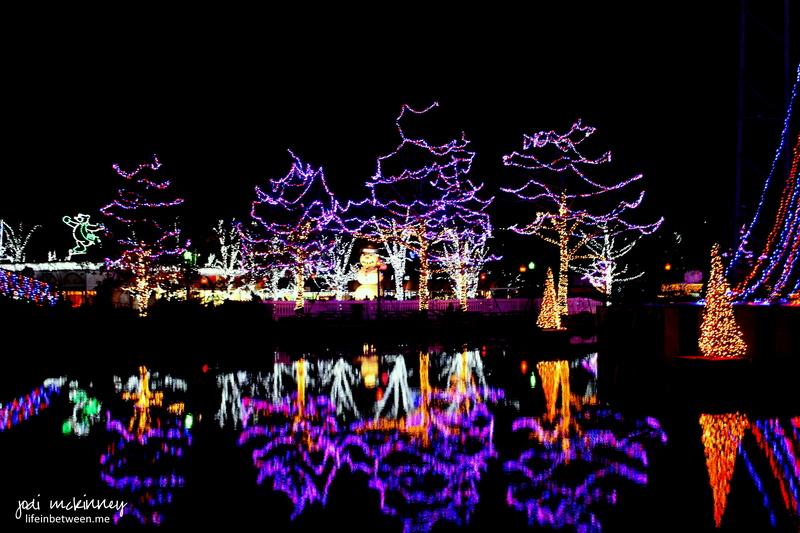 The way the lights reflected on the water was just mesmerizing. 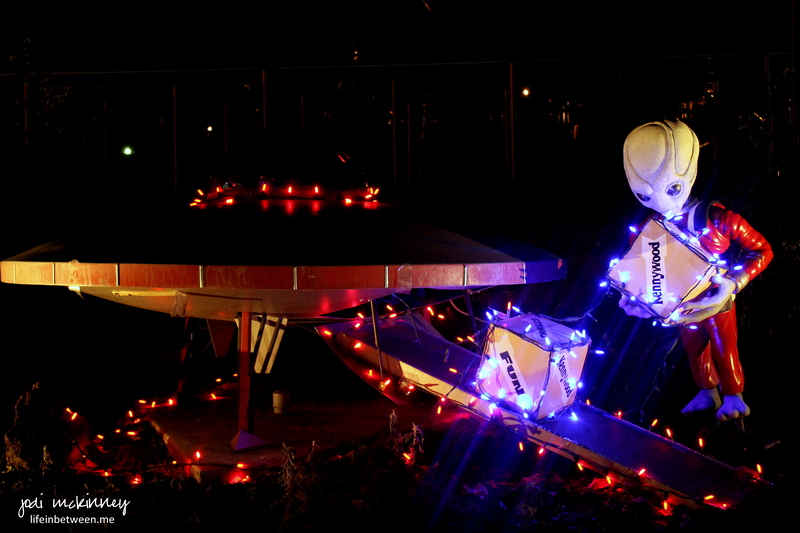 The Thunderbolt is the iconic wooden roller coaster that is the flagship ride at Kennywood. 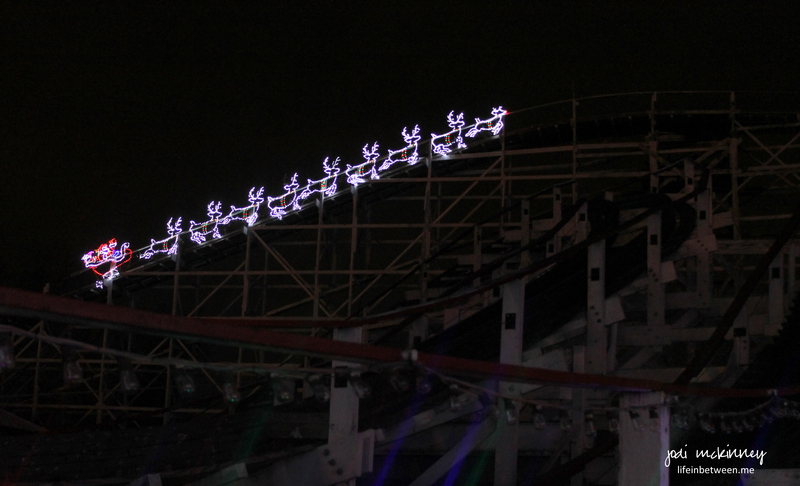 Santa and his team of reindeer had it reserved all to themselves for the evening. there was even a spaceship and alien from MARS! 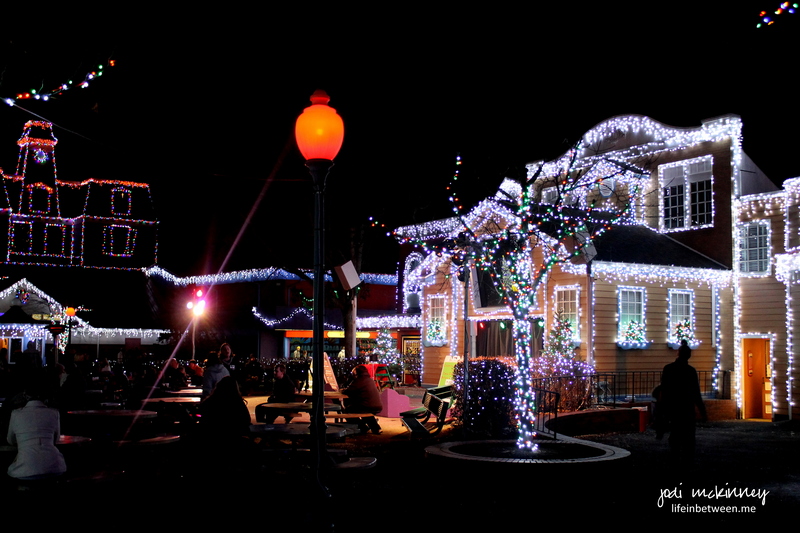 It was a great way to end the day I spent putting up our Christmas tree and decorating our home for the holiday season. 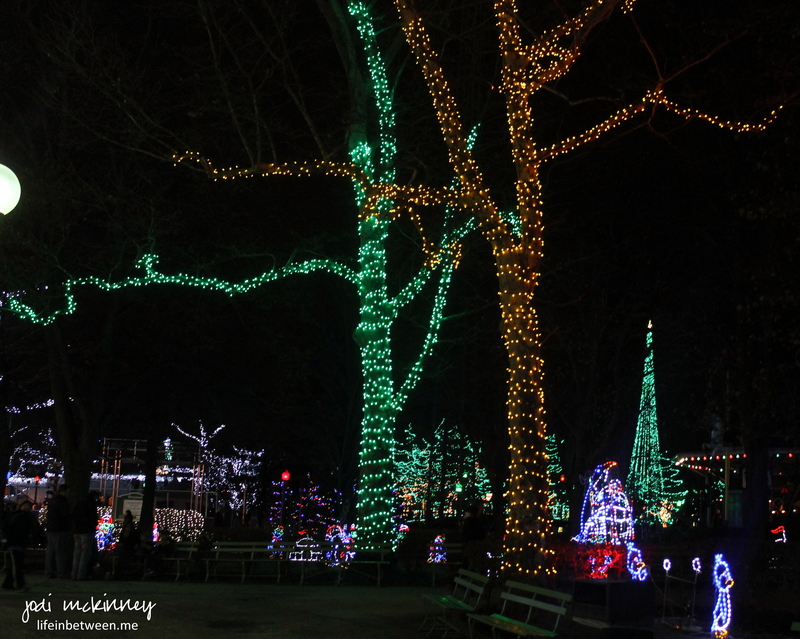 If you are in the area, Kennywood Holiday Lights is open Friday, Saturday, and Sunday evenings from 5-9pm until December 21st. Tickets are $16.99 at the gate with some savings for those that purchase on line ahead of time. 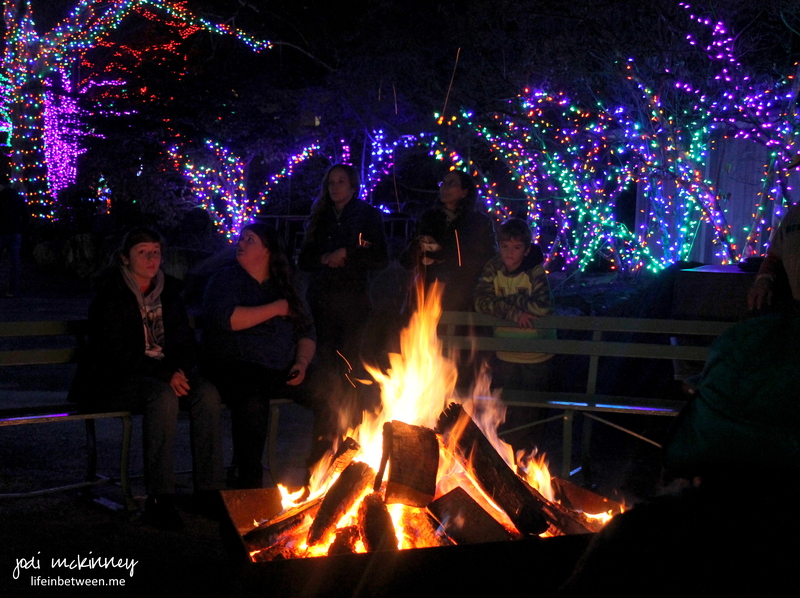 Here’s to the kickoff of a wonderful holiday season! about blogging, writing, technology, but most of all about MYSELF! 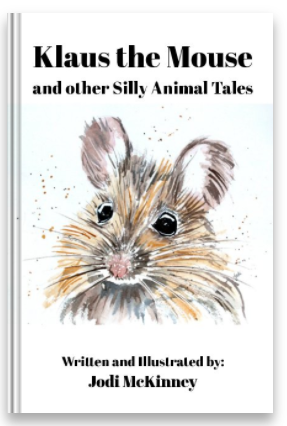 I thought it high time I build a Welcome (Home) Page for those that may visit and wonder what this is all about here. 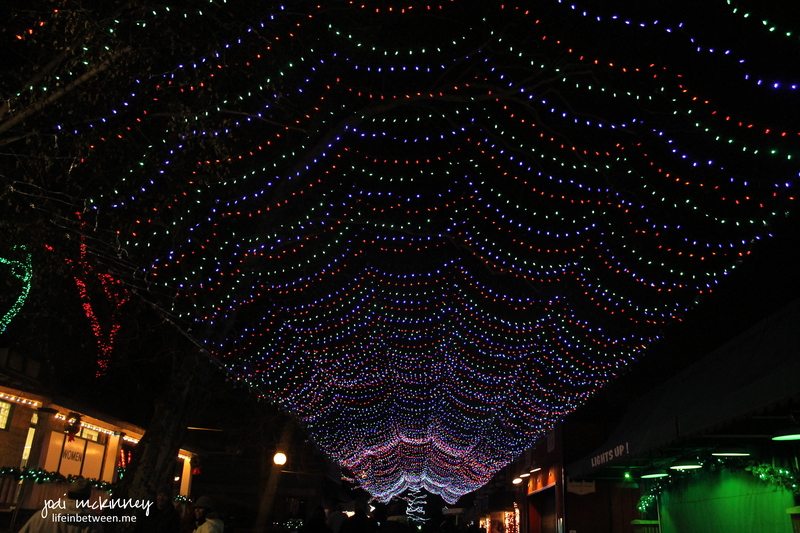 It was fun pulling photos and linking them with the posts that I thought summed up my blog and my lifeinbetween. I would LOVE your feedback, comments, questions, whatever you’d like to say or share – as I grow on this journey of blogging and the never-ending journey of self-discovery. 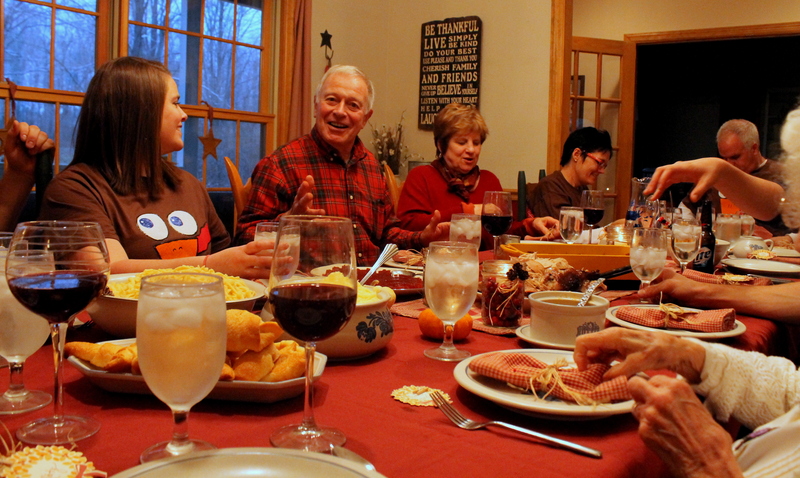 I hope everyone that celebrated yesterday had a wonderful Thanksgiving! 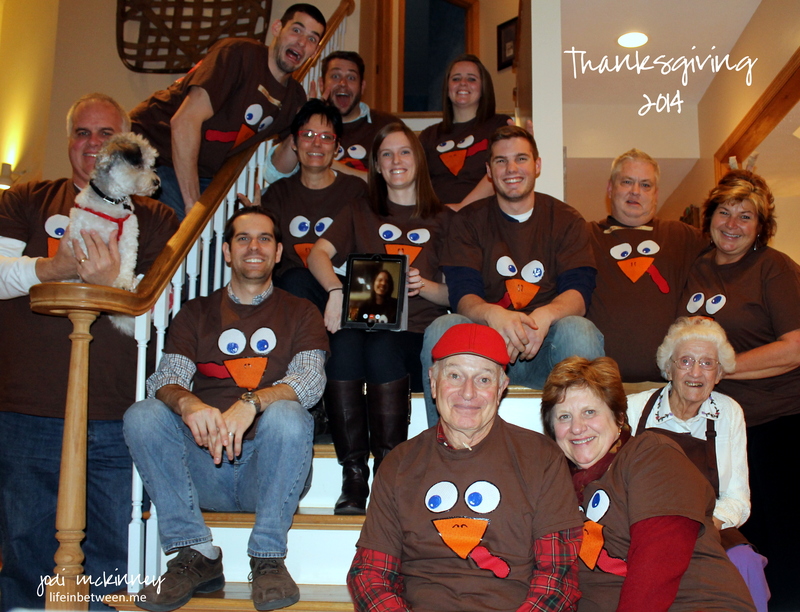 Today is a day of relaxing and reflecting for me – on an amazing day spent with this crazy coop of turkeys that I so adore! 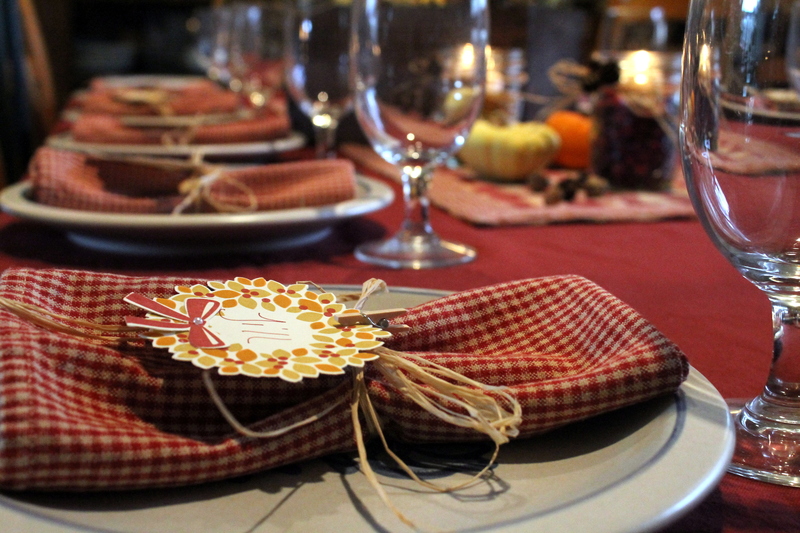 My crafty and stampin’ friends might appreciate the table setting complete with hand-stamped fall wreath place settings :). 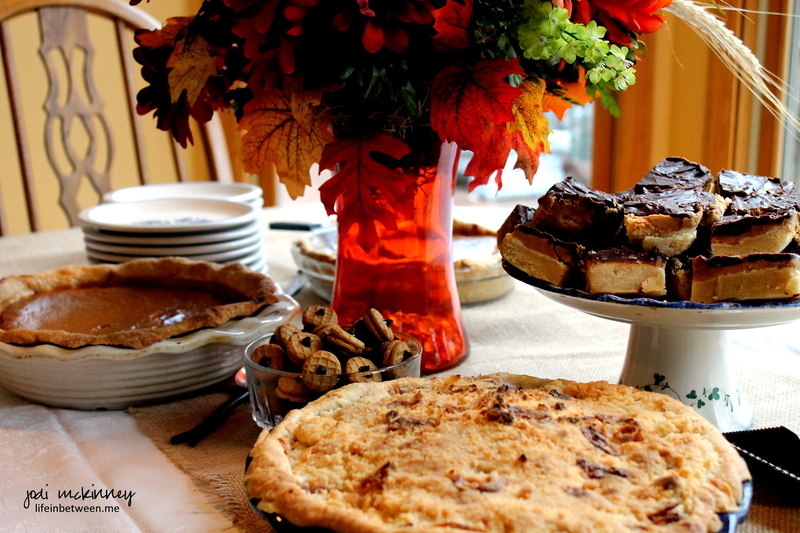 But… as much as I love to dress up the table, decorate, and prepare creative dishes, I have to say – Thanksgiving is no time for breaking tradition! No messin’ with the traditional turkey, stuffing, mashed potatoes, canned jellied cranberry sauce (though Jill did cut them into adorable little stars that made them taste even better! ), Pillsbury crescent rolls (or Nick would be seriously upset), pumpkin and apple pie. 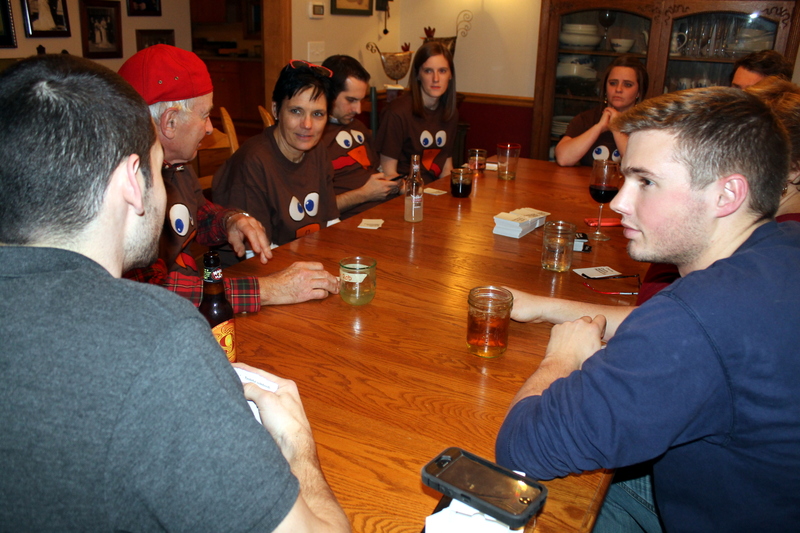 We toasted family and friends, and of course Oh Rob had a story for us! 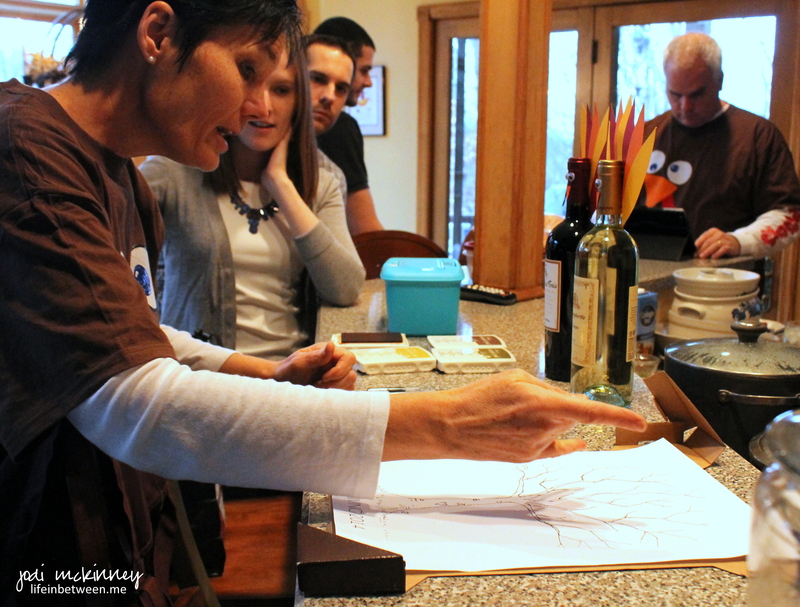 and homemade Reflection Wine – for in wine there is life. 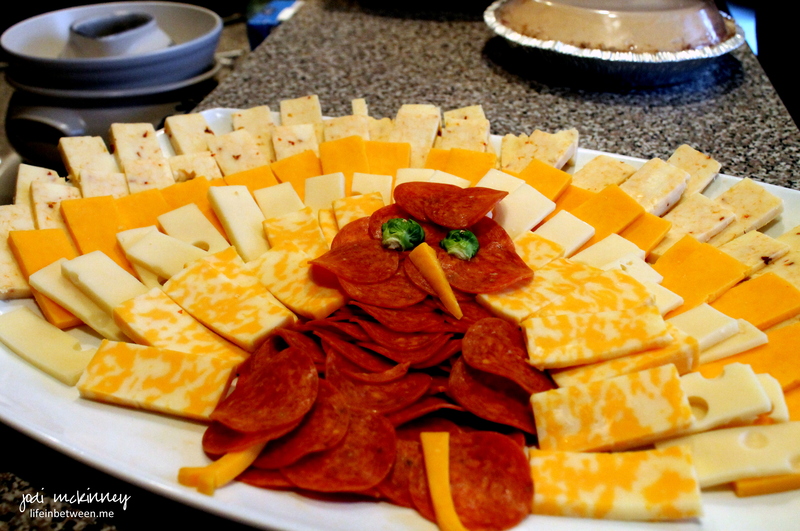 Colleen made this cute cheesey turkey – complete with brussells sprouts eyes straight from Jake’s garden, which was devoured immediately. Sweet Jackie brought the most adorable gift. 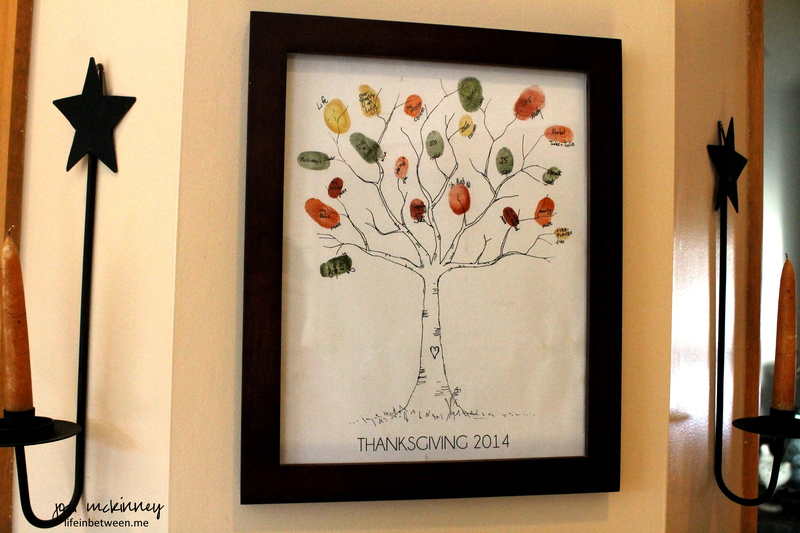 A print of a tree and a frame, to which we each stamped a fingerprint or two and labeled with our name and something we are thankful for. I already have it hanging right outside my dining room. What an amazing memory I will always have of this day and these peeps I love. Thank you so much, Jackie! And how cute are these? 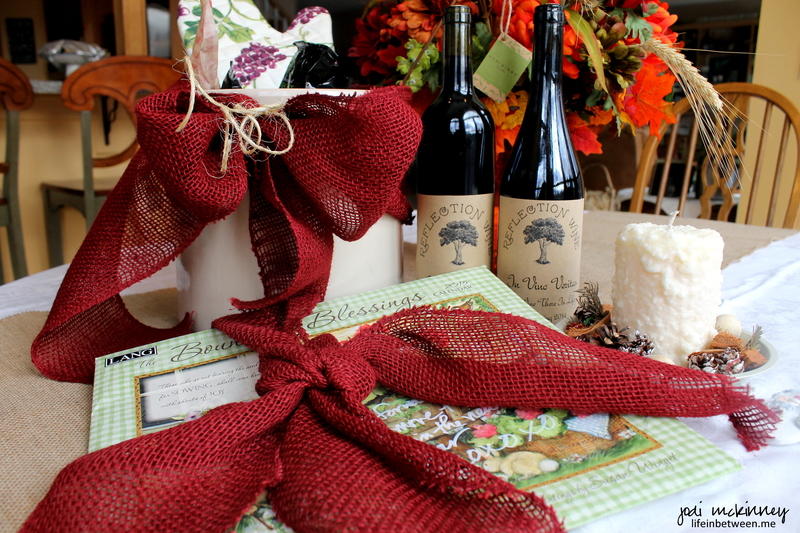 Isn’t this a fun way to take wine as a hostess gift? Dress them up for the holiday. 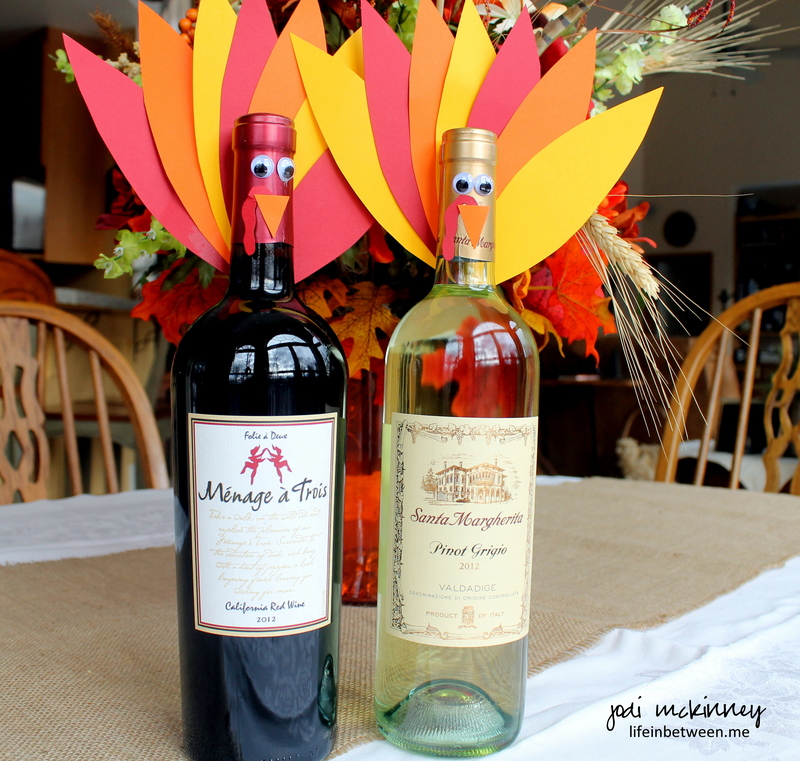 Jackie also made these adorable bottles of red and white into boozy turkeys. I LOVE THEM! Colleen and Jake brought me the most awesome smelling winter holiday candle – who doesn’t love a wonderful smelling candle – and Joyce and Rob brought a crock stuffed with bags of pistachios and a festive apron and hot mitt along with a Bountiful Blessings calendar with a note written on it saying, “Looking forward to spending more time together in the new year.” Now isn’t that a great idea?! Such creative peeps I hang out with – eh? 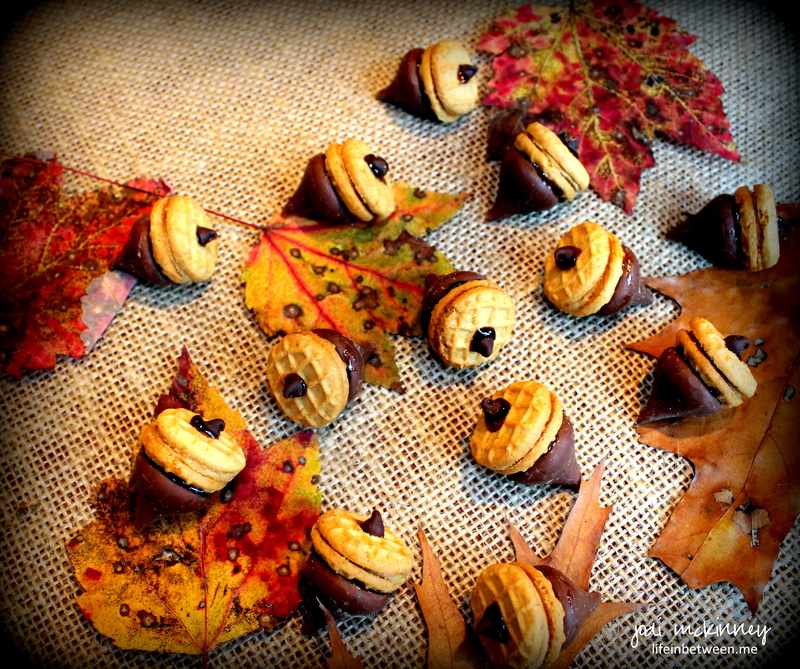 I share these for those looking for great ideas for hostess gifts around the holidays. 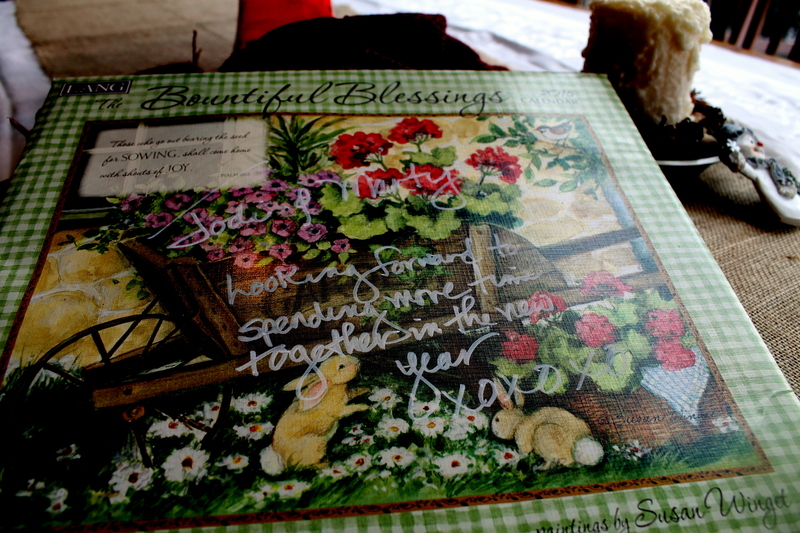 Wine, candles, nuts, aprons, calendars – all very appreciated gifts! 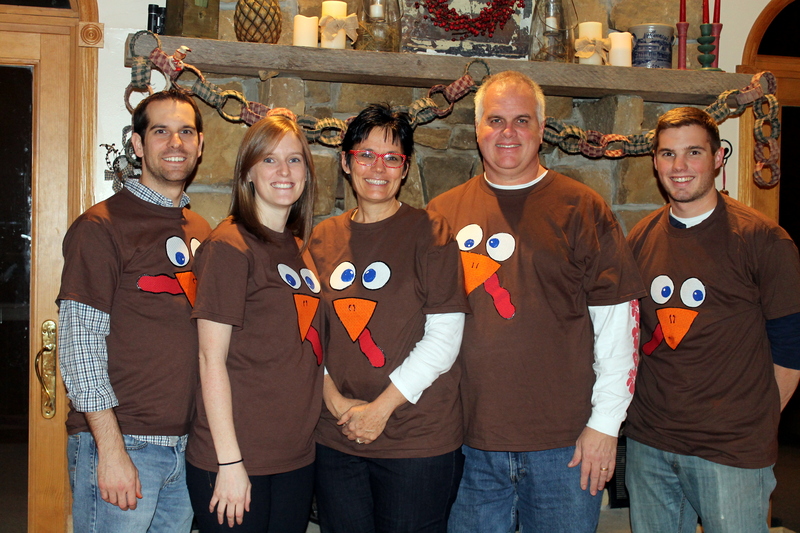 And Jill handmade all of us these adorable turkey t-shirts. Is she amazing or what?!! And look how cute they all look. 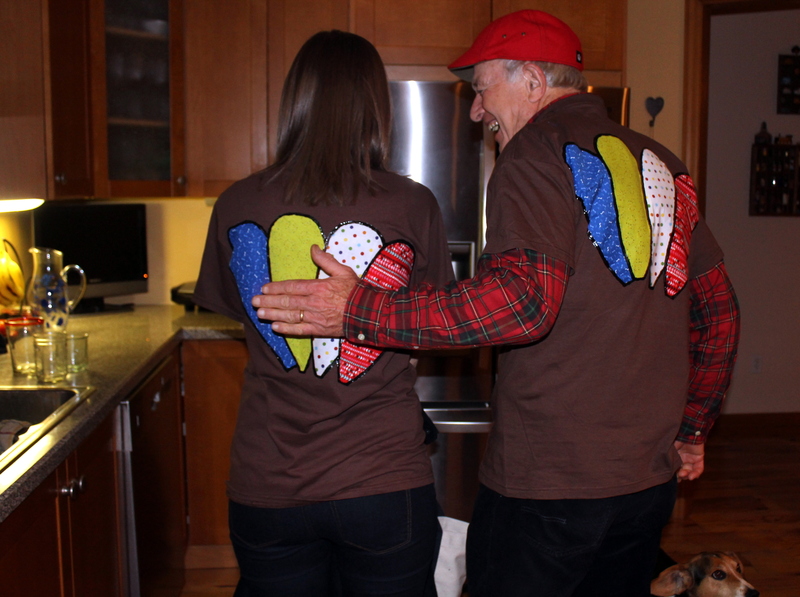 They even had turkey feathers on the back! It was wonderful to SKYPE with Julie, who if you look really close at the iPad Jackie is holding, is also wearing a turkey shirt that Jill sent ahead of time. 🙂 We only missed connecting with Jayme :(. and laughed until our cheeks hurt! 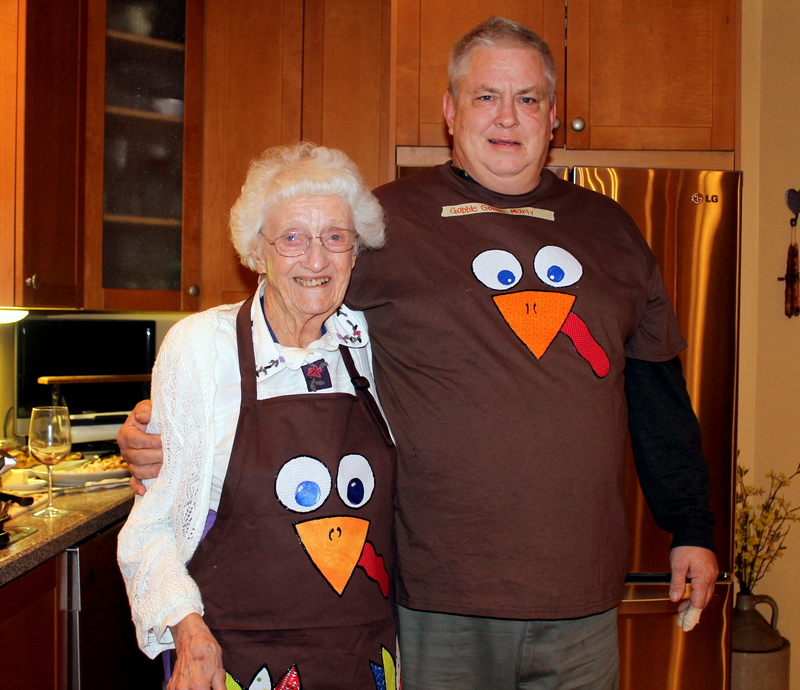 We were even fortunate enough to have Marty’s 91 year-old Aunt Francie with us, who is such a good sport. 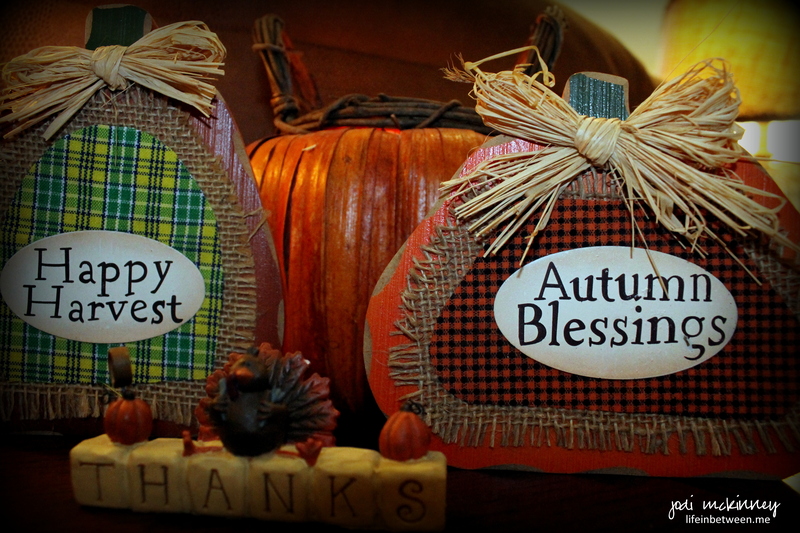 I am simply stuffed with thankfulness and reflecting on my many blessings. What a wonderful day we had sharing with family and friends. I hope all of you that celebrated did also. 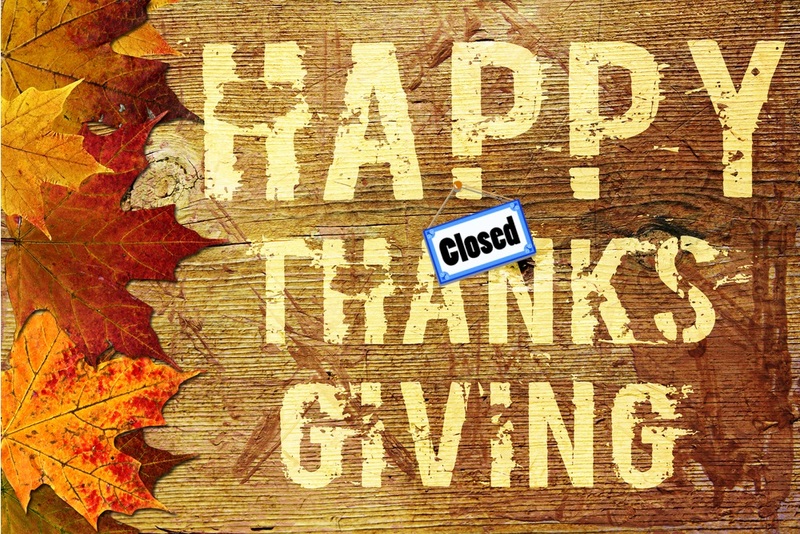 We are STUFFED to the gills with turkey and stuffing and pumpkin pie, and we have lots of leftovers to continue the feast for at least a few more days. I hope to share some more about that later, but for now I wanted to share another Christmas card I made, since we are now in full fledged Christmas season! I made this SU White Christmas Shaker card after Linda Heller from Where the Rubber Hits the Road was kind enough to send me some SU shaker frames (from our #FreebieFriday random drawing contest). 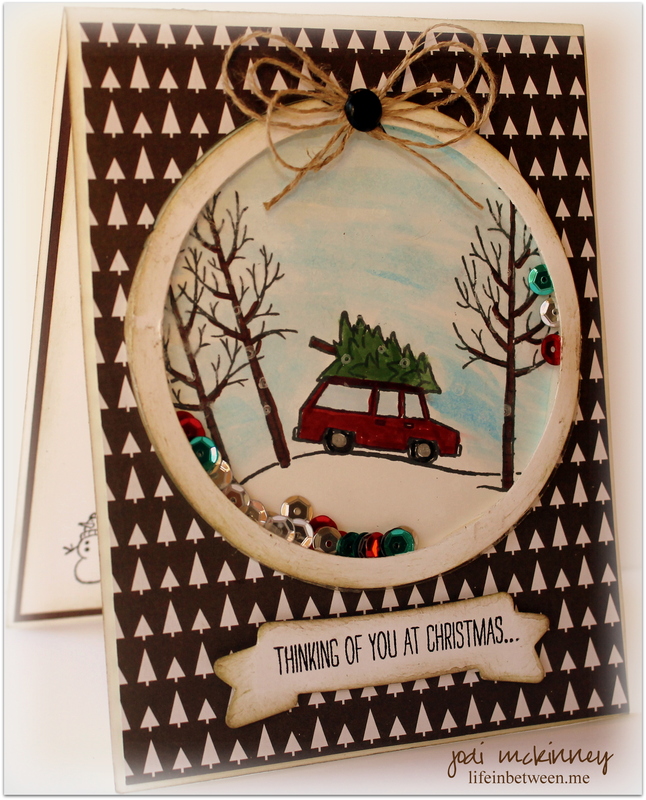 For this card, I cut and pieced two of them together to create a larger shaker to contain this scene that is reminiscent of this time of year – getting the annual Christmas tree. I stamped it all in Memento Black Ink and then colored in with SU Stampin’ Write Markers. I filled it with some sequins, wrapped it with SU DSP and sponged the edges to vintage it up a bit. Finishing touches were a linen thread bow and brown metal brad. The SUO Challenge SUO#110 this week is “Marker Fun,” and this one was fun with markers, so I am sharing there. I know just who this card is going to, and I hope they have as much fun shakin’ it as I did coloring it! 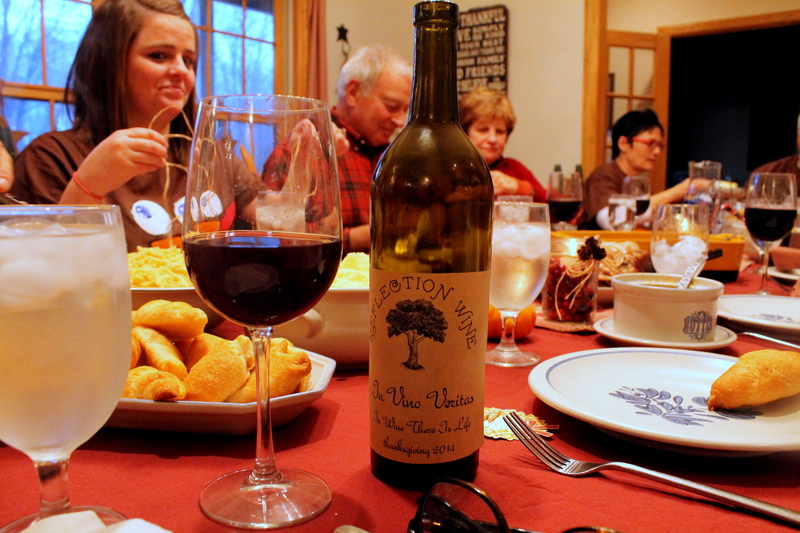 Chopping, Slicing, Smiling, Laughing, Sharing, Clinking Glasses…. May you be thankful for everything you have at Life in Between and always. 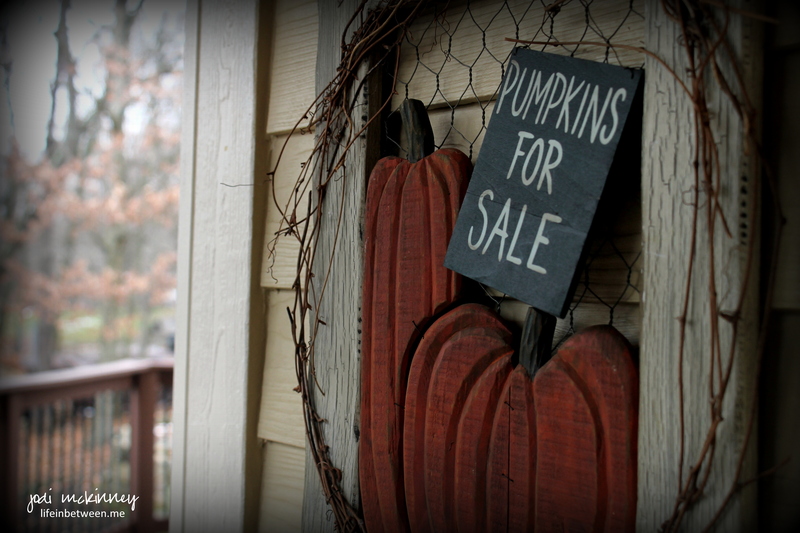 Parents divorced – Live with Grandma – Mom remarried – Bigger house – Smaller house…..
For as many reasons as moves, I never really had the opportunity to grow “attached” to a house. Now don’t get me wrong – I’m not knocking those that had the good fortune of growing up in the same house with the same family their entire life. In fact, I feel a bit of envy! But my life circumstances didn’t provide this, so for that reason I have never grown “attached” to bricks and mortar. 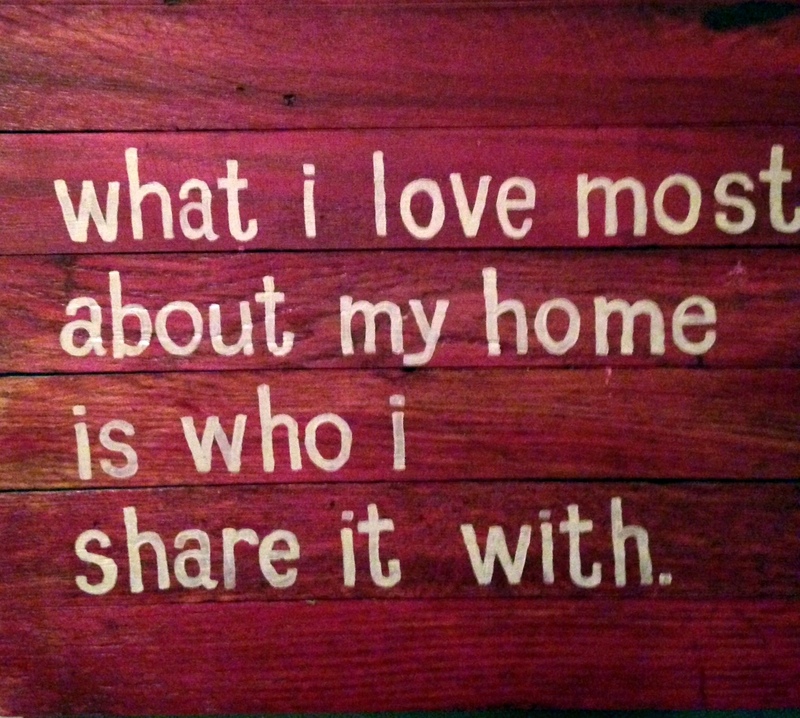 What I do love about my “home” is who I share it with. It could be a hut, a tent, an igloo, a teepee, a boat, a trailer, a shack, a mansion. It really doesn’t matter. 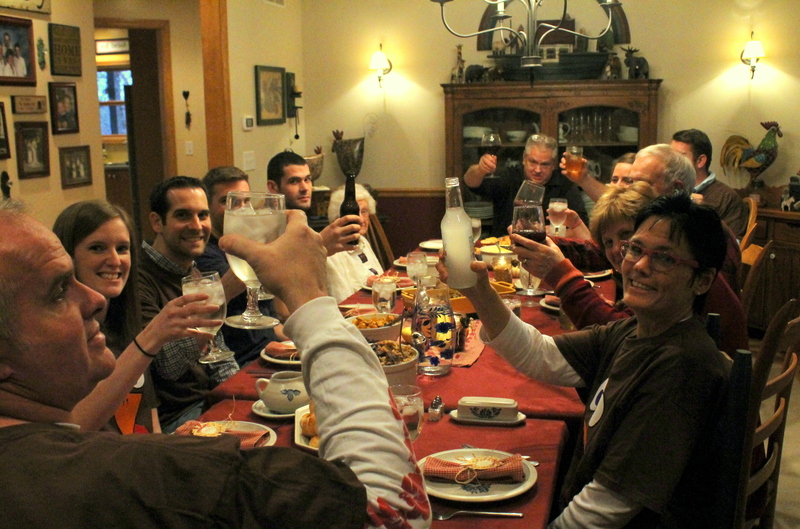 As long as I get to share it with the people I love…. As we approach Thanksgiving, and I look forward to sharing my home with some of the people I love best, it reminds me of one of the best gifts I’ve ever received from my bestie Jill. Jill hand-painted the sign above in red knowing me so well that she just knew when she saw this saying it was me to a tee. So how lucky am I?!? 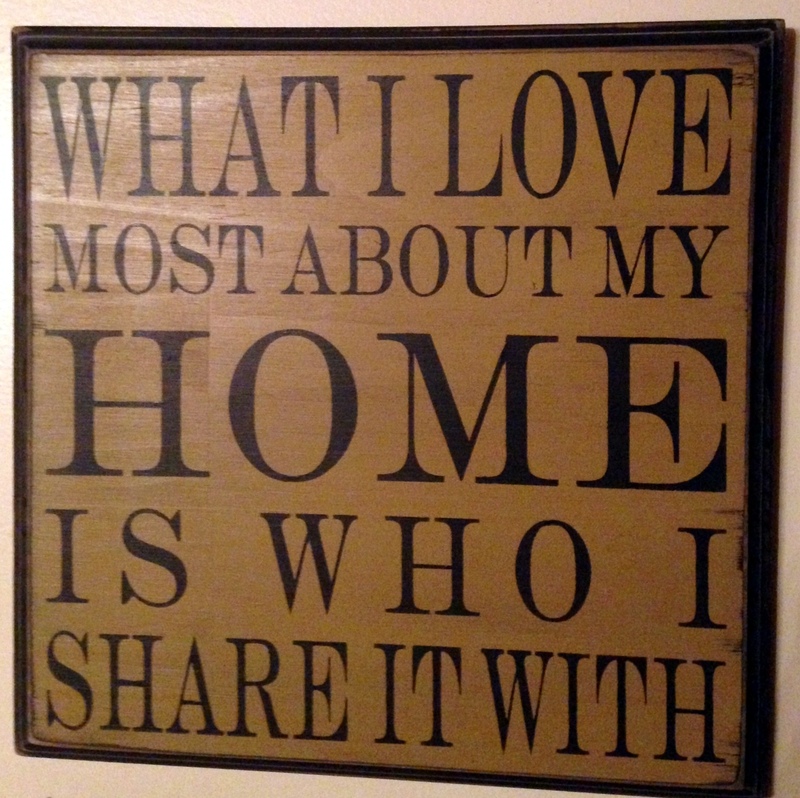 I have two signs that express my deepest feelings of home hanging in my home. On this day before Thanksgiving, I wish for you a home shared with the people you love – whether they be family or friends that are “chosen” family. 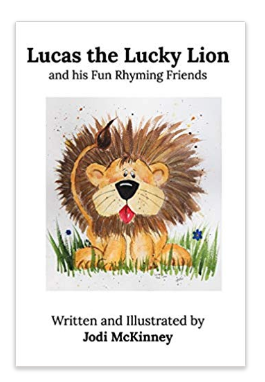 We really all are one family – right? I started out 2014 gangbusters with the One Little Word Challenge by Ali Edwards. I participated in the Facebook Group Page commenting and sharing and encouraging others. Yet I still feel good about my “one little word,” and I still feel like I have grown a great deal this year in Acceptance. My biggest challenge was accepting ME for who I am. How can it take 51 years to be OK with who you are?!?? Why am I not completely there yet? Whatever the case, I have come a long way, and I am proud that I am coming to “accept” who I am, where I came from, why I am the way I am…. Accepting that I am ok, because I am ME. Accepting others for who they are – no matter their beliefs, religion, race, sexual orientation, political views, personal opinions, age, gender, place in the world…. Accepting the life I am given, and making the best of it every single day. 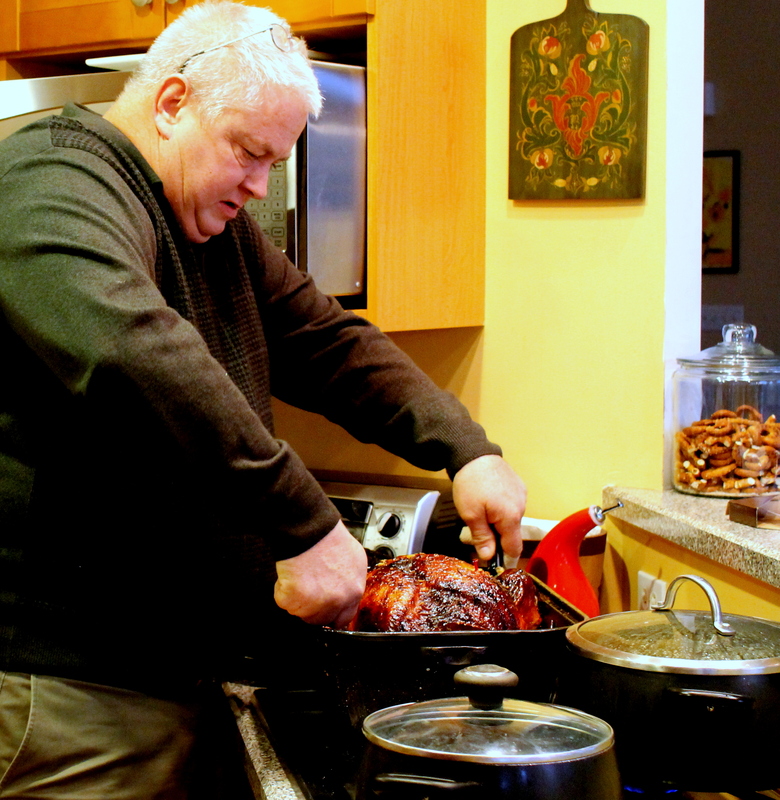 On this Thanksgiving Eve Eve, I am so thankful for a wonderful year full of acceptance…. 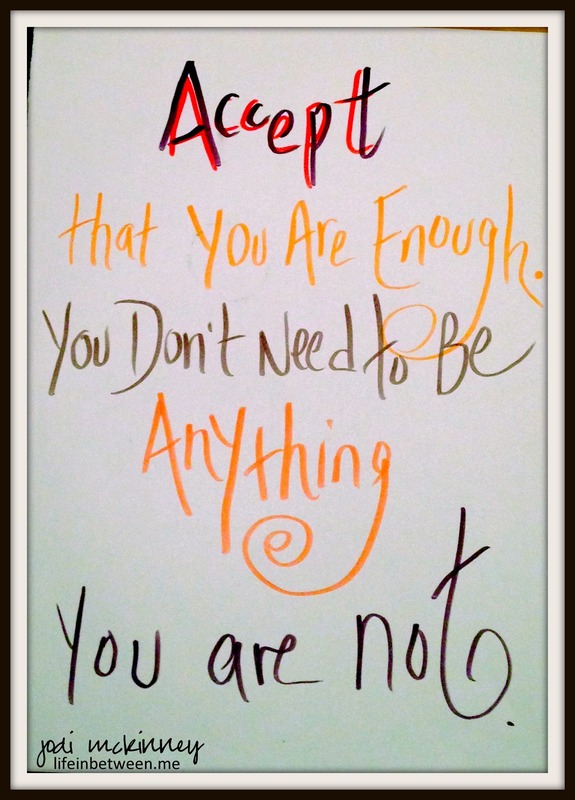 Acceptance without Exception. That is what it is all about. PS Have you ever participated in the One Little Word Challenge? Do you have a life motto? A Word of the Day, Month, Year? It’s a great way to make a little difference. I would love to hear about yours. 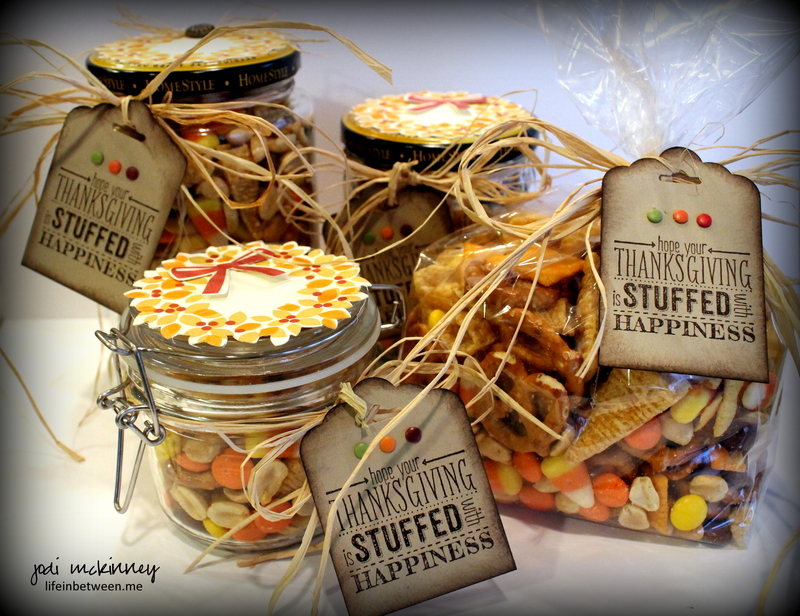 Are you looking for a simple little way to give a little Thanksgiving gift to a co-worker or neighbor, as a hostess gift, something for your friendly delivery person or grocery clerk or…… (whoever you are looking to give a little gesture of Thanksgiving to)? 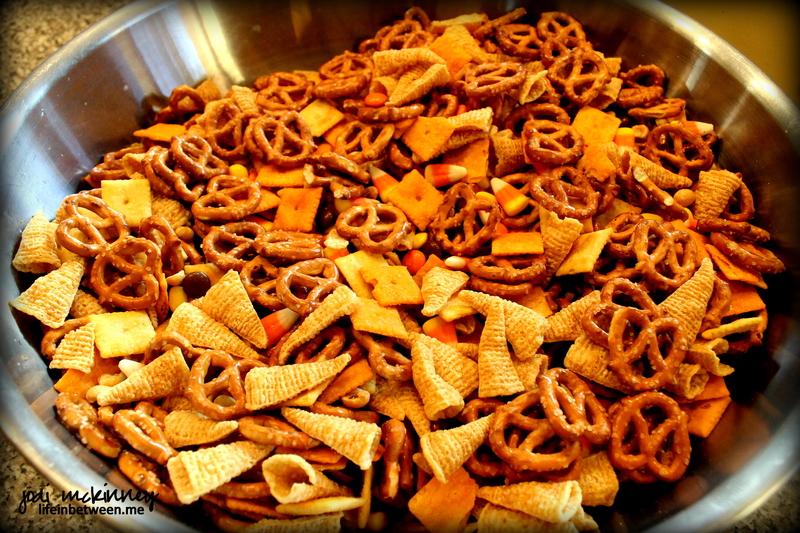 I came up with a quick Thanksgiving Crack Snack Mix. Easy Peasy Stuff Here! Just grab a bag of Mini Pretzels, Bugels, Cheez It Crackers, Peanuts, Candy Corn, and Reese’s Pieces. Mix it all together in a huge bowl (and if you want to get fancier 🙂 – drizzle some white or milk chocolate or dark chocolate over it – I did not this time). 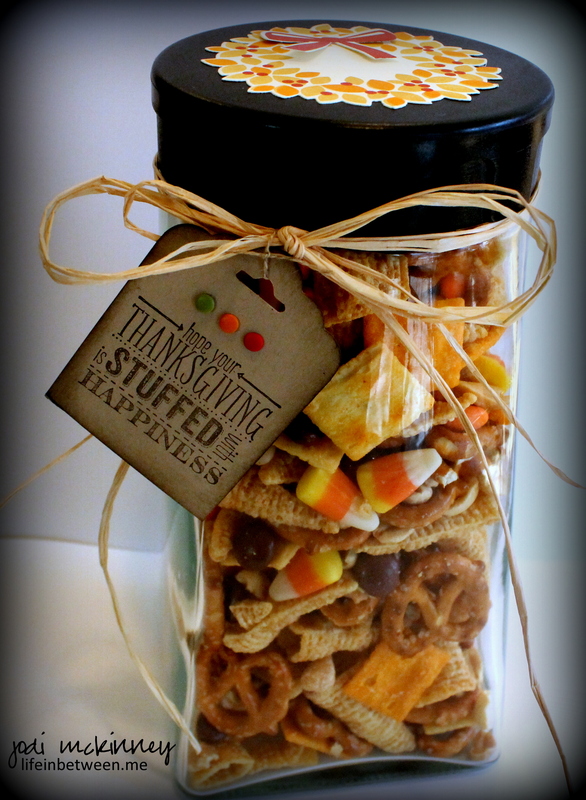 You can then package it up in cute jars or bags, dress it up with a cute tag and a bow, and a sweet little treat is created. 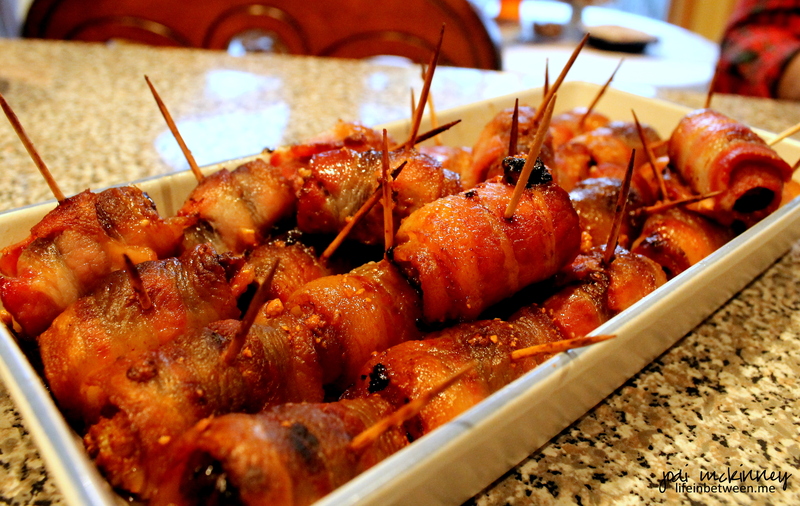 Easy, thoughtful, homemade, and yummy! 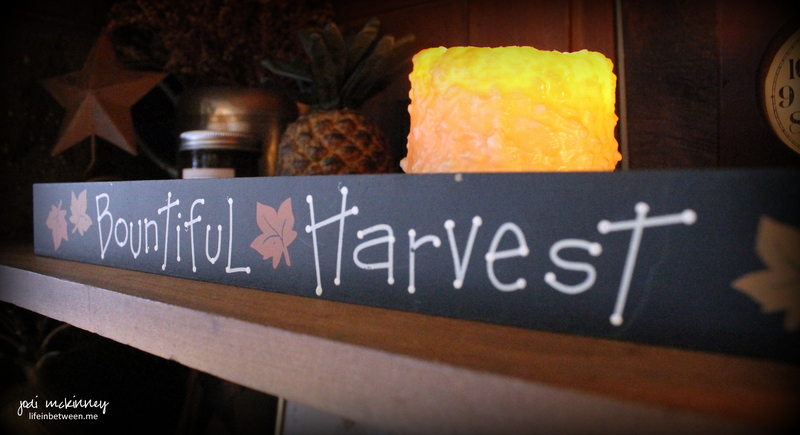 Hope your Thanksgiving is STUFFED with HAPPINESS! 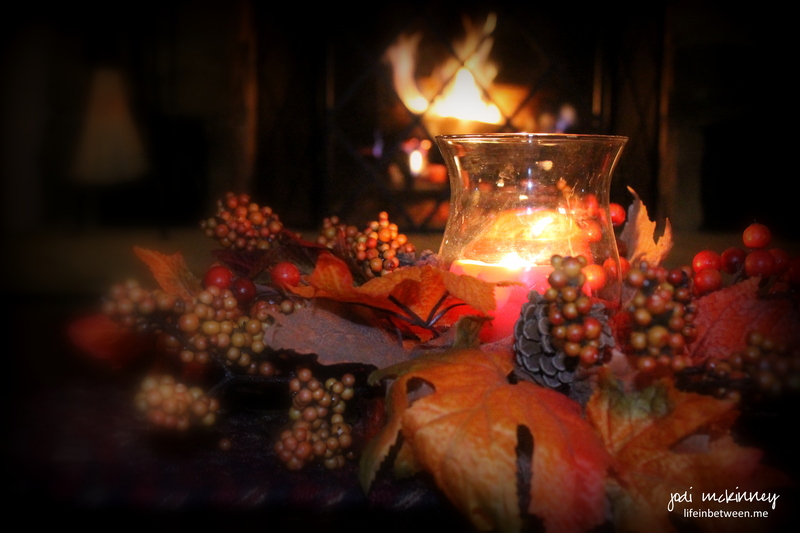 Soon will be Thanksgiving Day…. 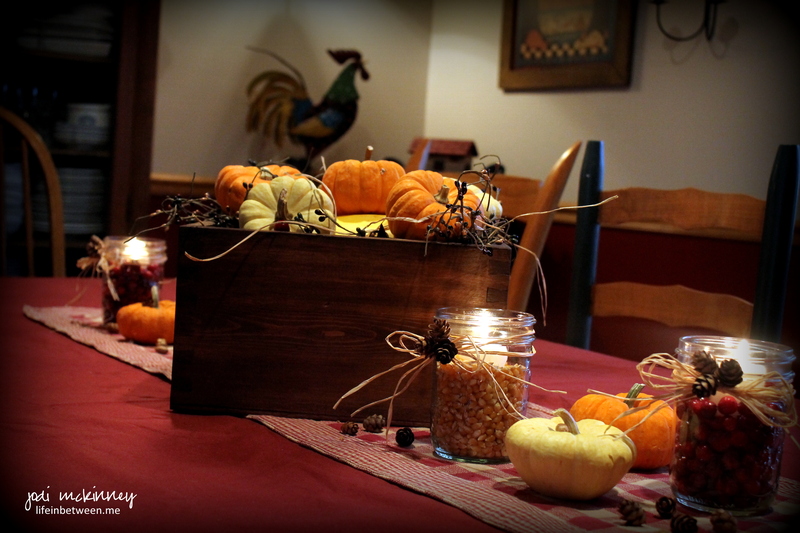 I thought I’d share a a bit of Thanksgiving/Fall decor around the house before things get Christmas’d up around here soon. 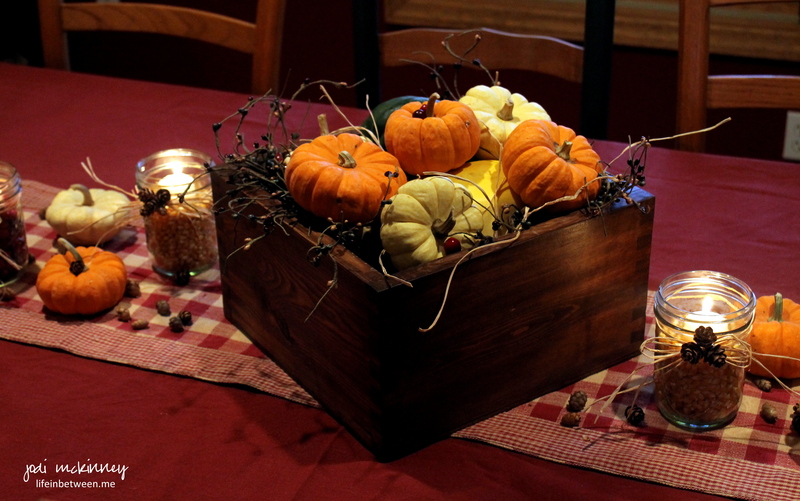 For the dining room table, I used the box Matt made for centerpieces for his and Jackie’s wedding this summer, and I filled it with squashes and pumpkin gourds. 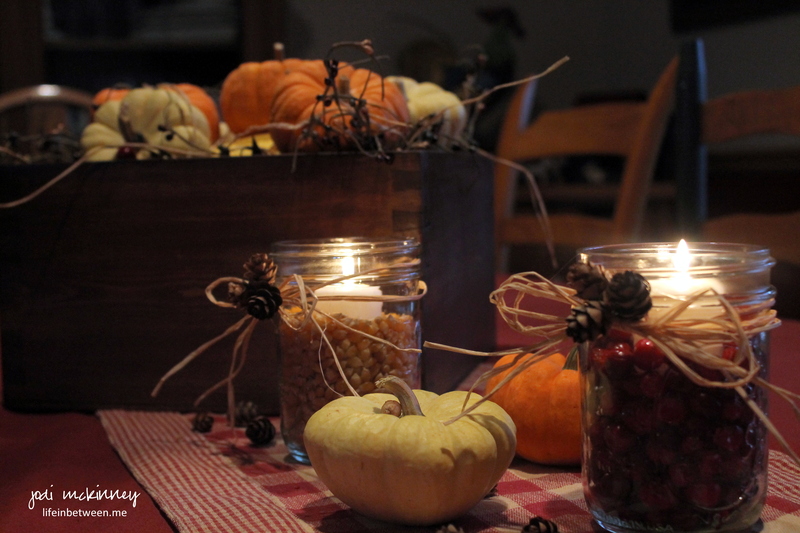 To accent, I used pint-sized wide mouth mason jars (purchased for Colleen’s shower) and filled them with fresh cranberries and popping corn and then added a votive candle, a rafia bow and some tiny hemlock pine cones Tracy helped me pick on our walk Saturday morning. 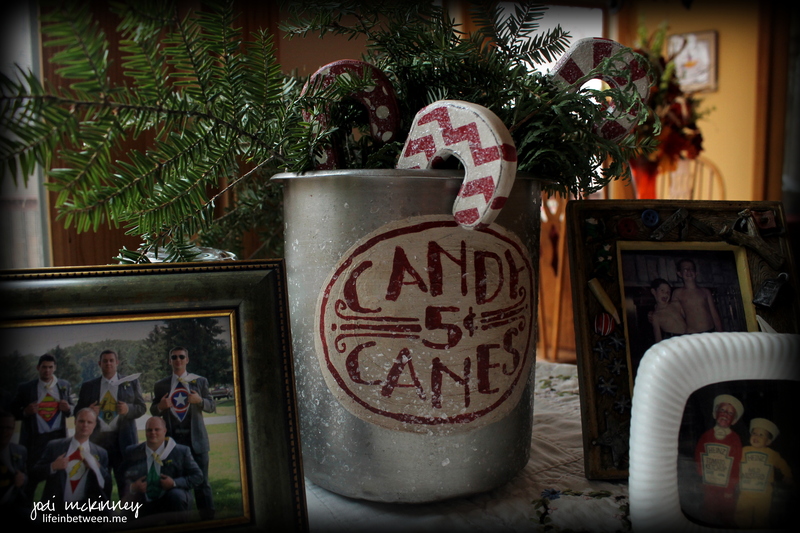 You see – you don’t have to spend a lot of money to decorate, and it’s even more fun when the things you use have special memories or are acquired during special times with friends. 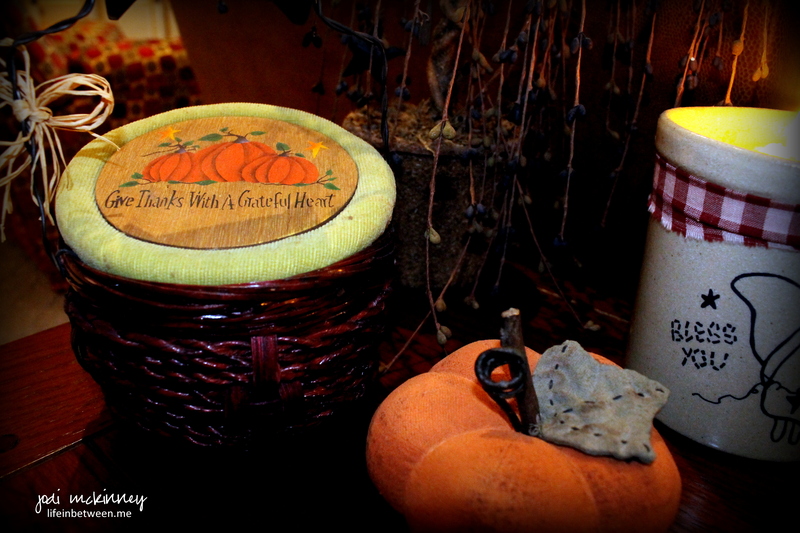 A few craft store finds sit around on the sofa table behind the couch. I love this little muslin pumpkin. 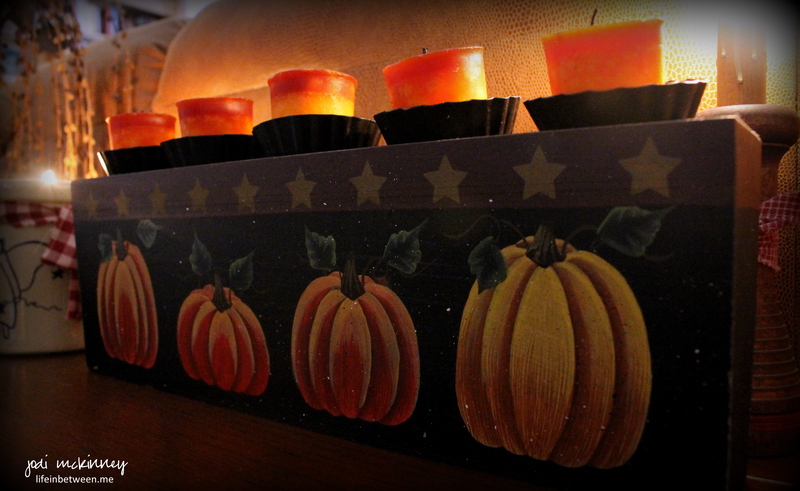 My friend, Rose, gave me this wooden pumpkin candle holder at least 15 years ago, and I bring it out every Fall. Thanks Rose! 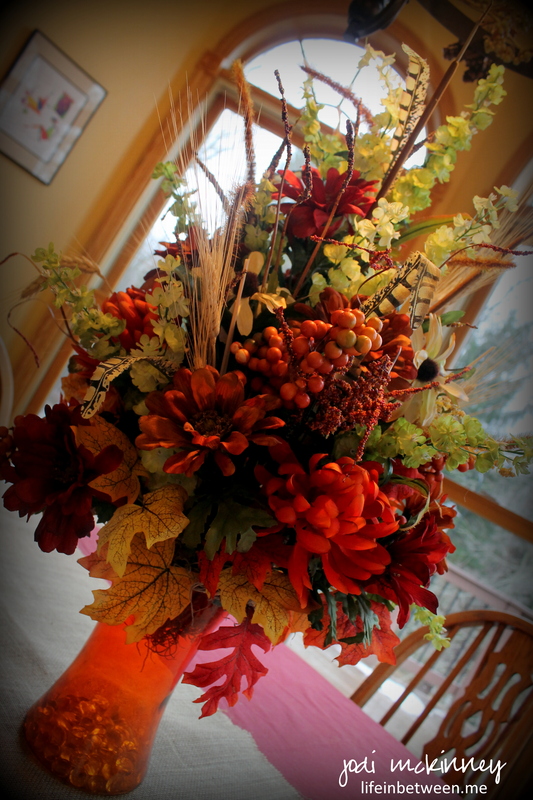 When Pap died a couple years ago, my sweet cousins, Dawn and Jen, along with Aunt Gwen and Uncle Frank sent this beautiful Fall silk arrangement, so it goes on the kitchen table for the Fall. I found this little coffee table centerpiece while shopping with Dawn on a vacation in Myrtle beach. 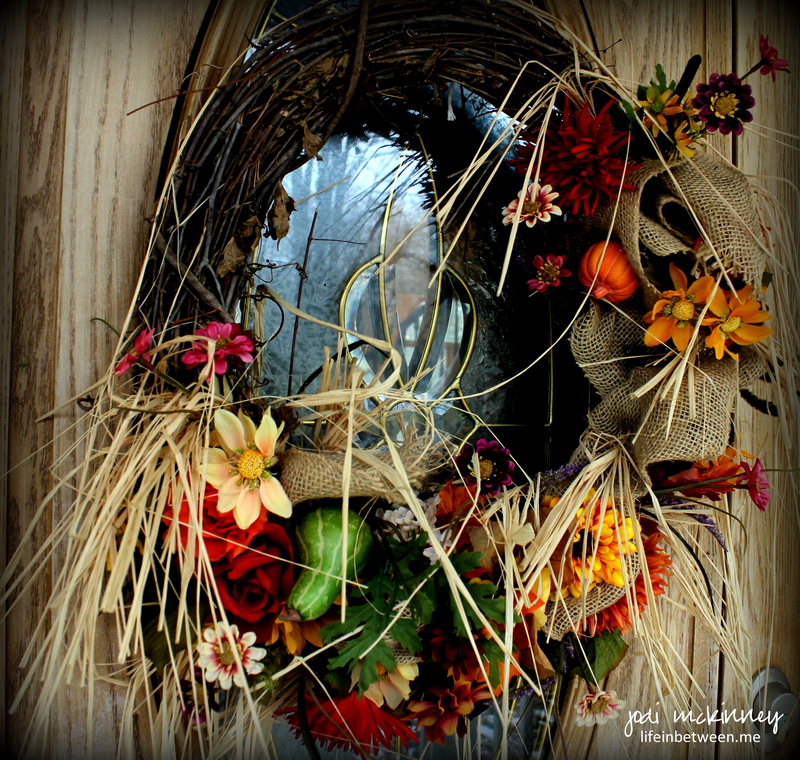 I’m pretty sure I got this wreath for the front door at the same shop in Myrtle Beach. 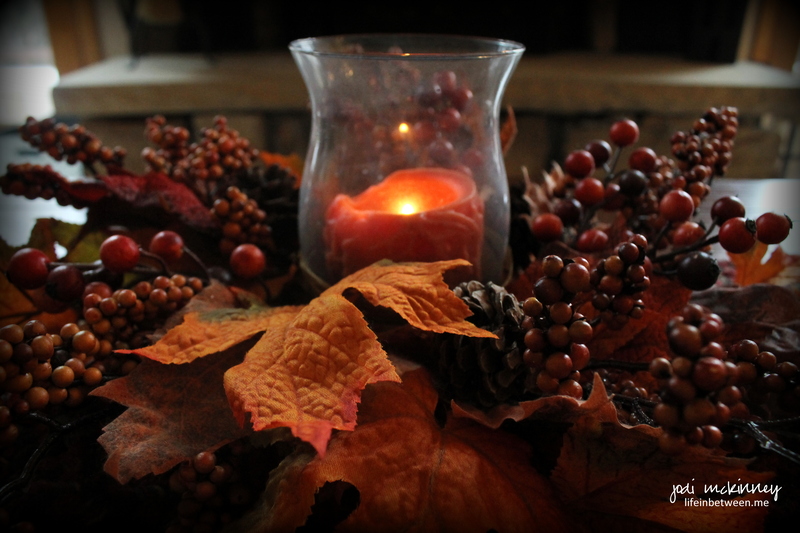 I am enjoying the beauty and heart of Thanksgiving this week and so looking forward to sharing it with family and friends. 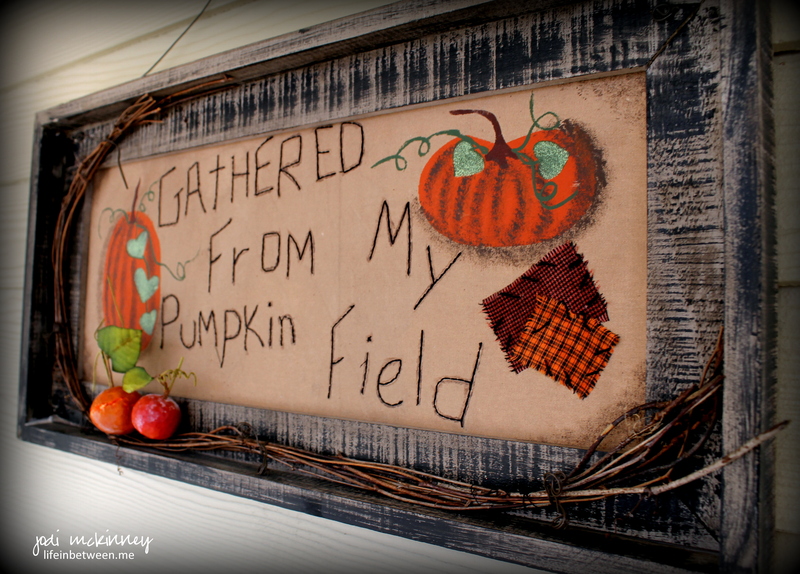 We’re going to have a houseful – just the way I love it! 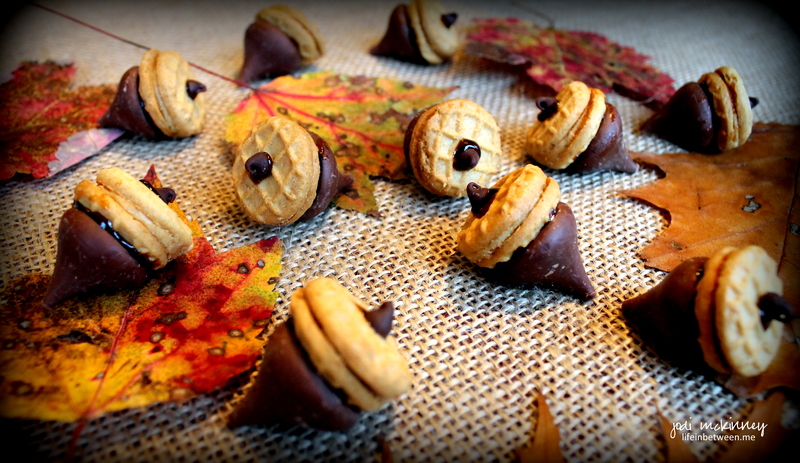 I couldn’t resist trying this cute idea for a fun little Thanksgiving treat. Aren’t they so stinking cute?! and even more sweet to eat! 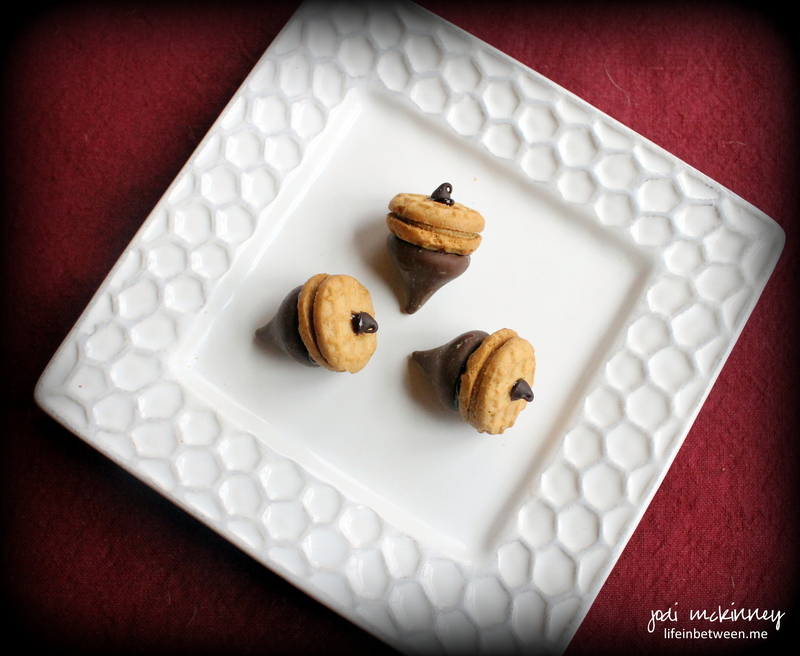 I simply used chocolate icing in a tube to “glue” Nutter Butter Bites to Hershey’s Kisses and topped with a Nestle Mini Morsel Chocolate Chip. Voila! 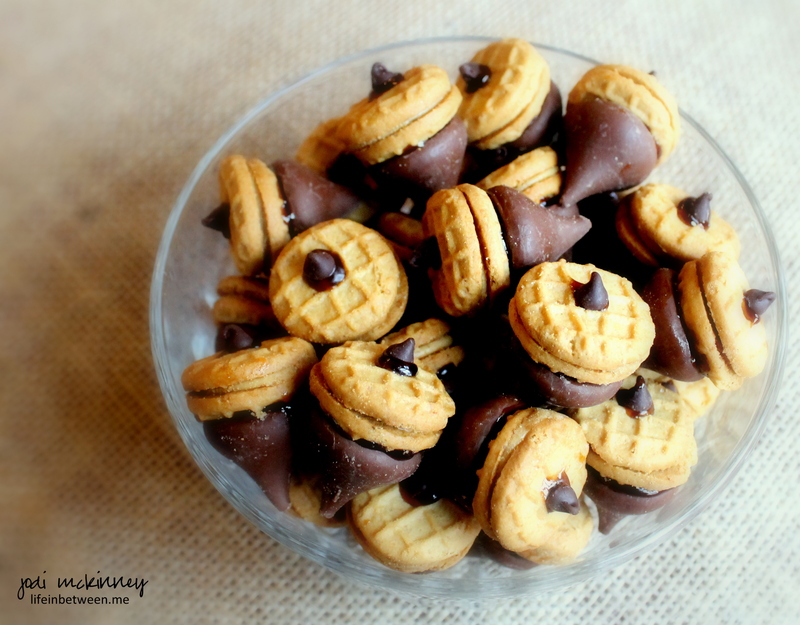 A fun, easy, and sweet treat!